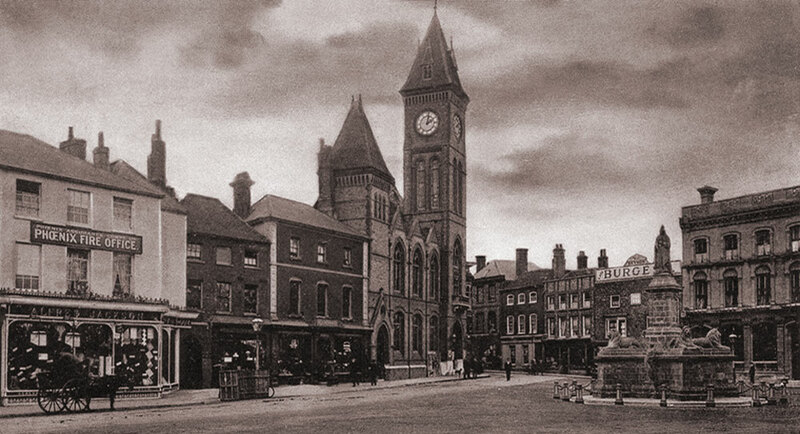 The Newbury History website has been created in an easy to understand format to help showcase what the historic market town was like with a collection of photographs and description. There are a couple of ways to navigate the website by using the Newbury Timeline from the menu and the other by the Sitemap which is positioned at the bottom of the page. The source of information has come from a number of books which can been seen within the Acknowledgement section. Hope you enjoy the website. Newbury started life as a Saxon settlement known as 'Ulvritone' which located south of the River Kennet, the settlement was later called New Burgh. Burgh is an old English word, originally it meant a fort or fortified settlement and then it came to mean a town. Burgh is the origin of our word borough, in time New Burgh became Newbury. By the middle of the 11th century Newbury had become a town with no more than 1,500 inhabitants and had the right to hold a fair and a market. Buyers and sellers would come from all over Berkshire and North Hampshire to attend a Newbury fair, which were held only once a year for a period of days. During the late 15th century cloth manufactured in Newbury and was highly regarded on the continent, by the 17th century this trade had virtually ceased. The most famous clothier was John Winchcombe known locally as "Jack of Newbury". Another well-known clothier was Thomas Dolman who lived in the grand Shaw House. During the English Civil war of 1642-46, Newbury was the site of two battles. The First Battle of Newbury was in 1643 when the Earl of Essex was returning to London after relieving the siege of Gloucester and found his way barred by King Charles's army. Essex won after the King's army ran out of gunpowder. The Second Battle of Newbury was in 1644 near Donnington Castle. The Castle was besieged for 20 months and eventually fell to the Parliamentarians, the King's defenders (known as the Royalists) of the castle were allowed to withdraw before the Castle was reduced to a ruin. 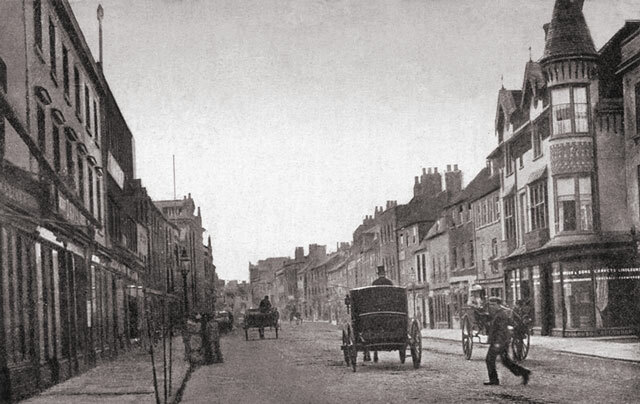 During the 18th and 19th centuries Newbury was an important coaching centre being on the old Bath Road. 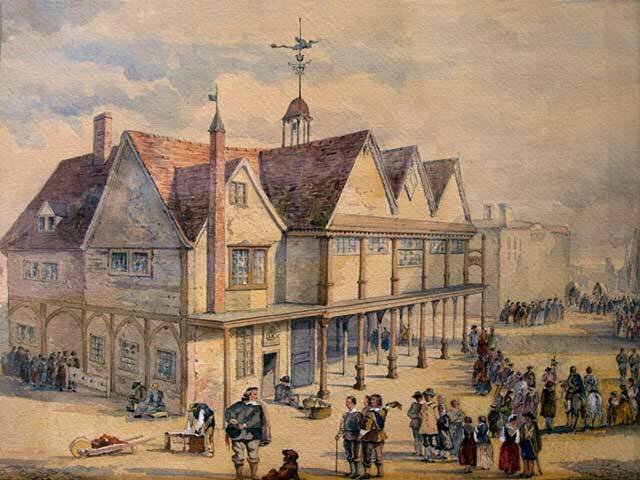 The trade from this developed many inns, theatres and horse racing to entertain the many travellers. The 18th century saw new industries in the area. In 1790 William Plenty founded a firm making ploughs, then went on to build a revolutionary 'Plenty' class lifeboat. The famous Newbury Coat was made in 1811 in a single day as a result of a bet between Sir John Throckmorton and John Coxeter. 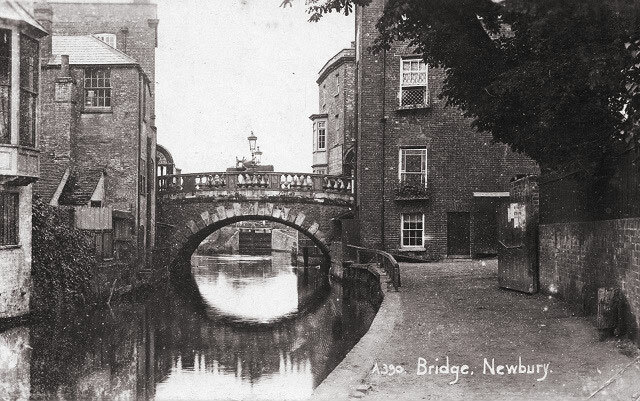 Also during the 18th century Newbury Bridge was built, replacing the previous wooden bridge. Newbury became an agricultural area being in the fertile Kennet valley, Barley was grown for malting and this was shipped to London by using the River Kennet via Reading. The Kennet and Avon Canal had been built early 19th century which ran between Reading and Bristol mainly for transporting corn. Mid way through the 19th century the canal went in to decline due to the railway arriving. By the late 19th century the railway (Great Western Railway) in Newbury was developed further. A branch line was made to Didcot, followed by another branch line to Winchester and finally a branch to Lambourn. In the 20th century Newbury Racecourse was built which would go on to become a marshalling yard for the American army during the Second World War, and Newbury had two RAF Presentation Spitfire’s named after the town. The town was bombed, wounding and killing some local residents. Part of Greenham Common was occupied by the 101st Airborne Division and this provided the place from which planes with scores of gliders (built by Elliotts of Newbury) took off to participate in the invasion of Europe on D-Day, 6th June 1944. During the cold war Greenham Common was an American nuclear bomber base which was also used for the International Air Tattoo. The Greenham Common airbase would become a Cruise missile base with 96 fully operational cruise missiles. Newbury would go on in the late 20th century to attract new large companies such as Bayer (large pharmaceutical company) as well as many high technology companies such as Vodafone, Micro Focus and Quantel. During the 21st century Newbury has a new community hospital, and has also gained the new Parkway Shopping Centre bringing major retailers to the town. 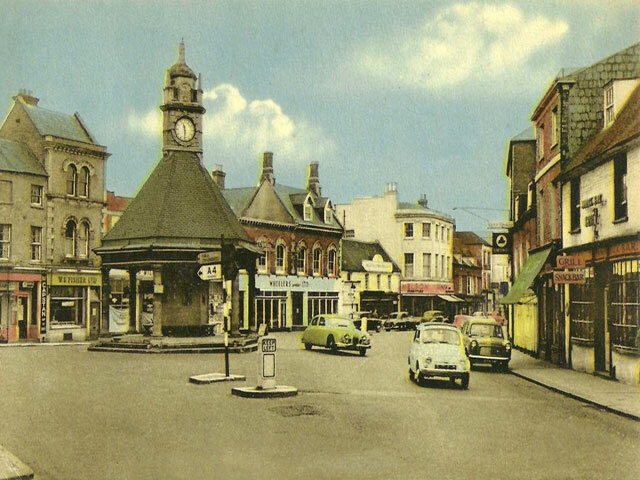 Explore the recorded events in the order of their occurrence of the historical English market town of Newbury. The Guildhall that once used as a prison and a place of punishment to keep good order during the 17th and 18th Centuries. 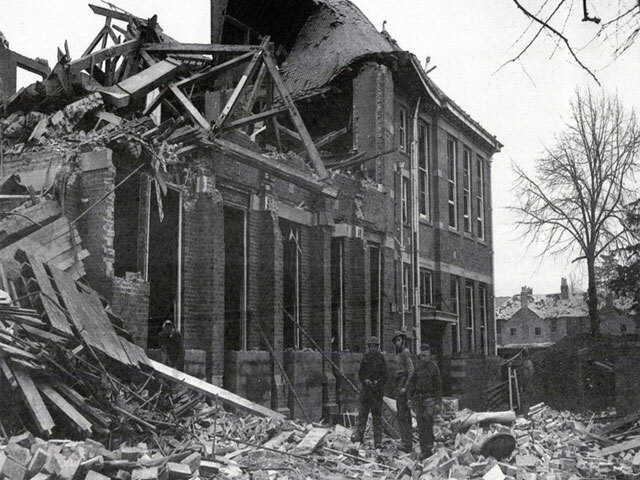 Find out about the devastation caused during 1943, when the town was bombed destroying buildings and killing Newburians.